we have our first missing tooth! This tooth fell out on April 21. He was at school and managed to lose the tooth before coming home, but the Tooth Fairy came anyway. 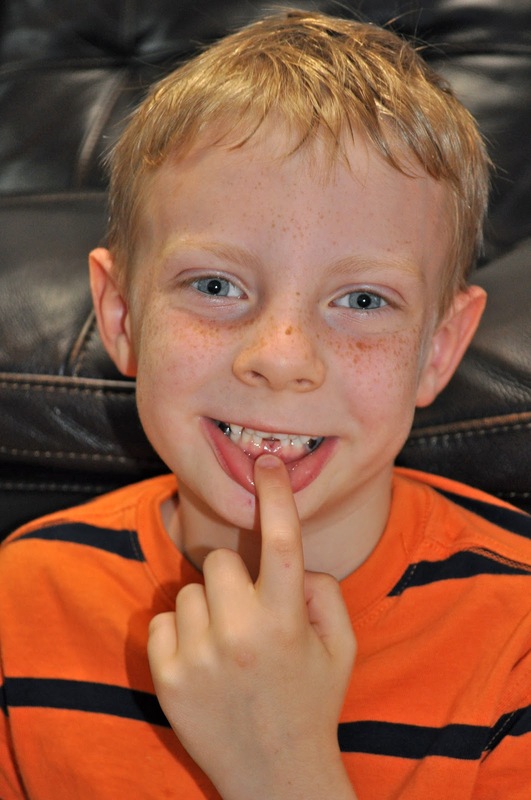 His permanent tooth has already come in, even though, as of yet, no other teeth have fallen out.